Ocala, Florida — A 24-year-old woman was arrested after she sideswiped a BMW and fled the scene. 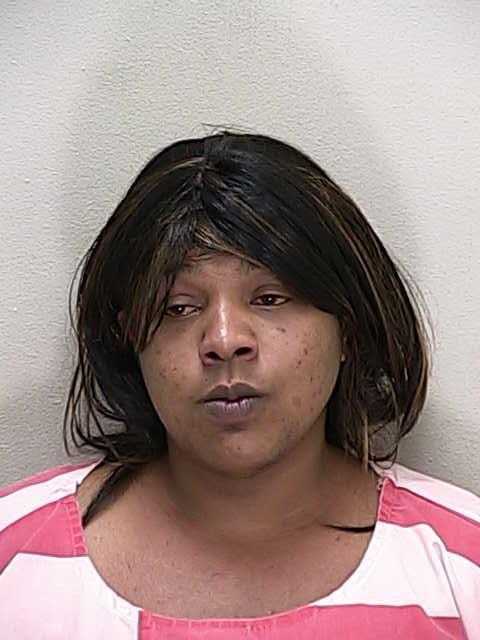 Ocala police say Janeequa Dewberry, 24, was driving a white Ford Taurus through the intersection of Northeast 25th Street and Northeast 14th Street, when she struck a BMW and drove off. When police arrived, a witness told them that the Taurus had pulled into the parking lot of the Shell gas station, located at 1402 Northeast 25th Avenue. When police made contact with Dewberry she told them she had hit a car, but needed to stop for gas. Police said that Dewberry was heavily intoxicated and had slurred speech. According to reports, Dewberry handed an officer her driver’s license, and while speaking with police, she reached up and snatched [it] off of the officer’s pocket pen clip that was attached to his uniform. Dewberry also grabbed the officers pen. Dewberry scuffled with police as they attempted to place her in handcuffs. She had to be escorted to the ground and restrained. Upon running a computer check, police discovered that Dewberry only had a learners permit. Additionally, computer records showed that Dewberry had stolen the Taurus from a man who resides in Alachua County. Dewberry was arrested and charged with Battery on a Law Enforcement Officer, Resisting Arrest, DUI, Hit-and-Run, and Grand Theft Auto. She is being held on a $9,500 bond. Deberry has previous arrests for Battery (x7) and Resisting Arrest (x2).